The festival originated from the romantic tale of two lovers: Zhinu (weaver girl) and Niulang (cowherd). Weaver girl is one of the seven daughters of Empress of Heaven, who descended to the human world for a day of fun. She fell in love with Niulang and decided to spend the rest of their lives together. However, their love was not allowed and they were separated to the opposite sides of the Silver River (symbolising the Milky Way). The Empress was so moved by their love that she allowed them to reunite once a year by summoning a flock of magpies to form a bridge between the heaven and the human world. 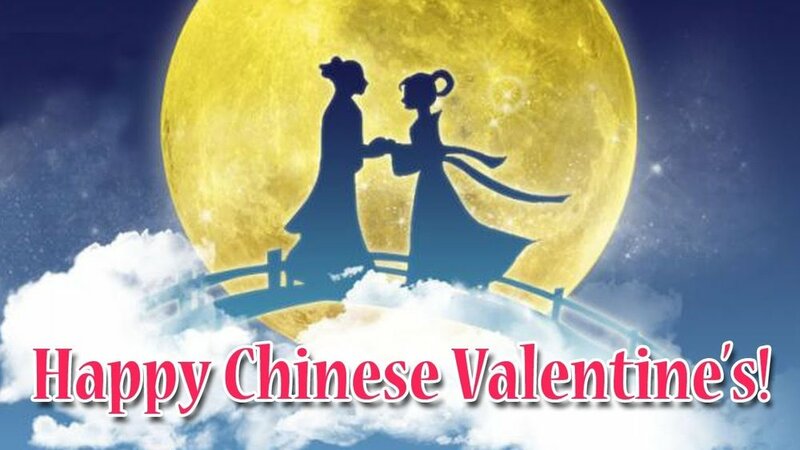 The Qixi Festival is widely celebrated in China among young people. They exchange gifts (particularly chocolate), dine out or plan something special to mark this occasion and celebrate their love. Who will you be spending time with this Qixi?